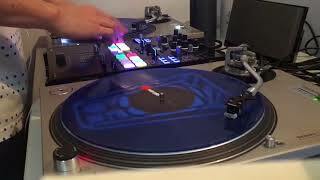 Login or Signup to comment on DJ CUT CAKE's video. Your ideas are great ! Even if a few people used the tone play but it was still a great gimmick to the set. 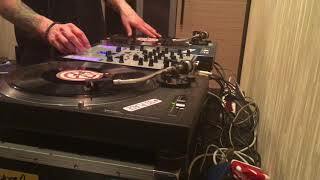 I loved that you played with the crossfader it reminds me of Mix master mike ! Your drum patterns were also dope especially mixing two together, it just showed so much identity !!! Splitting finger..! cool scratch an on point..!! Really liked the effects integration. Nice Mix of skillz. Clean setup! The tone/pitch play intro was great! 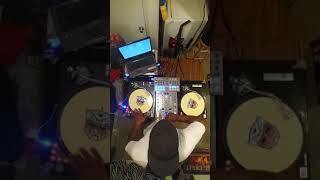 that multi cut with the crossfader and channel fader was insane! never seen anything like it! Great finger drumming, Reggaeton rhythm! Dope ! Amazing Routine !! THX to all for your comments, have fun to watch your routines :-D I have already planned to do a tutorial on that euro scratch, I call my way to do it "Euro-Twix" by the way :-D When I perform it in sessions, everyone wants to know this, so I think it's time to #spreadtheknowledge, because it is easier than you might think ;-D so stay tuned and follow me on instagram or youtube. Keep it up fresh!! !